Little B was with us, but he's an adventurous eater for a little guy, so we weren't shy about ordering the Goat curry with fresh rice pancakes & mango chutney ($12). 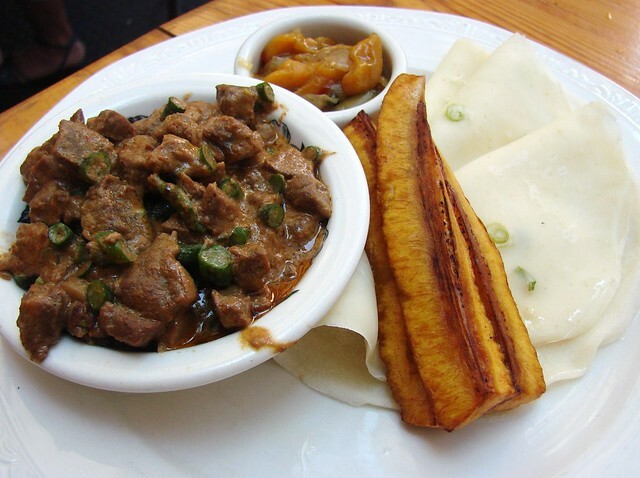 What the menu doesn't tell you is that this dish also comes with tender sweet fried plantains. The goat curry was diced into little pieces (nary a bone in sight!) which was perfect for the little dude. The coconut based curry was rich and earthy and made me wonder why I don't eat goat more often--I need to change that. Taken together the pancakes + curry + chutney + plantains created a salty, spicy, gamey, sweet explosion of deliciousness. 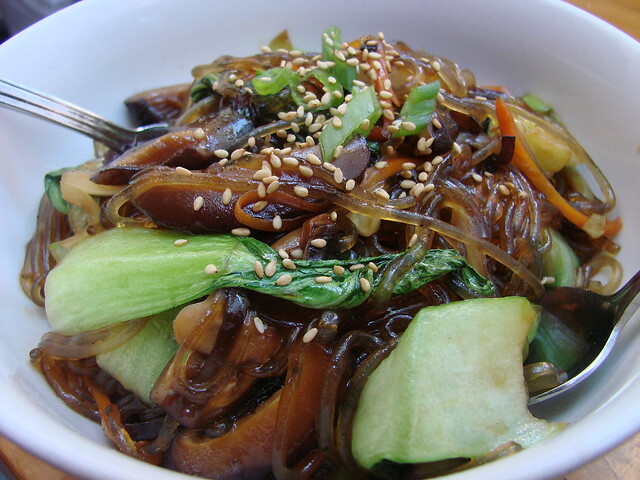 The Jap Chae ($9) was also well received, but the slippery sweet potato glass noodles proved to be a little hard for Little B to chew. He thought they were funny to pick up--can't say I blame him there, it's not easy eating glass noodles with your fingers. Overall, Purple Yam is a win. Next time, brunch!